The Inside Program is an essential part of SDC’s work. It was set up in 2010 so that we could conduct research and share our knowledge about human rights and democracy with villagers in Karenni State and help create a peaceful society, based on the rule of law. The Inside Program is run by our alumni, who travel to Karenni State in order to run mobile trainings, workshops and outreach programmes in the different townships. In 2015 we conducted research about land confiscation in Karenni State. 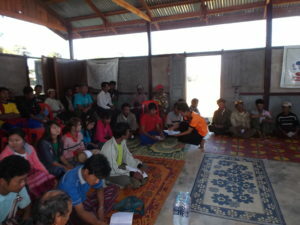 Over the years a lot of ancestral land has been confiscated from Karenni villagers by the Burmese military. We published our findings as a report, which can be viewed here. Prior to the November 2015 elections in Myanmar, we conducted a free and fair election campaign. Our trainers ran workshops for various communities inside Karenni State, explaining what a free election is and its importance for the future of Myanmar. Materials from the workshop can be found here. 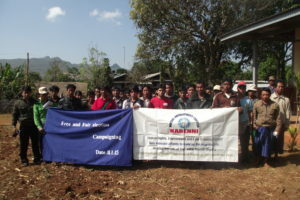 In 2014, our alumni provided trainings on the constitution in Pruso, Demawso and Loikaw townships. In 2012, we conducted research about the proposed Hatgyi Dam development project on the Salween River. The project, funded by Chinese investors, ignores the environmental consequences of damming and will adversely affect the local population.